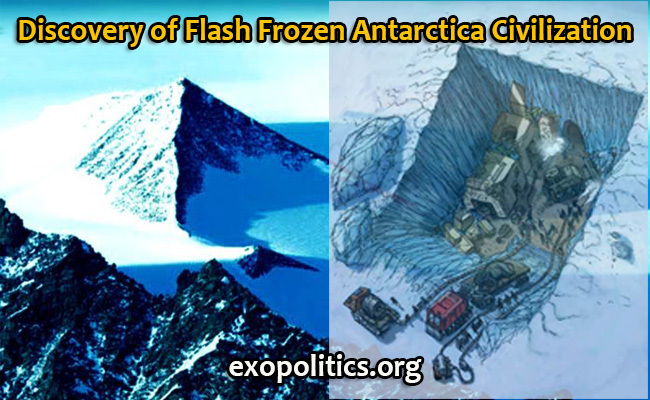 Discovery of an advanced civilization in Antarctica that was flash frozen has shocked political and scientific figures that have witnessed it, according to secret space program whistleblower Corey Goode in a December 11 update. Furthermore he told me that he had been stationed at several military installations in Antarctica and had spent time in the very area where the Anshar had taken me on a reconnaissance flight. 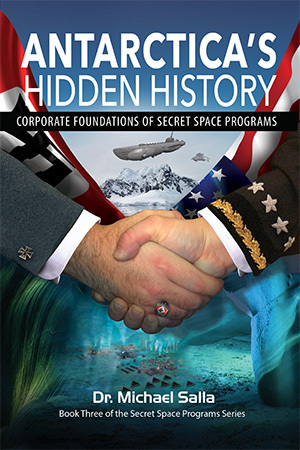 Goode has previously written a report describing an extensive tour of Antarctica facilities controlled by the Interplanetary Corporate Conglomerate, another secret space program he discussed in depth, by an ancient Inner Earth civilization called the Anshar. He [Sigmund] stated that an extremely ancient series of cities had been discovered flash frozen deep under the ice-shelf. He confirmed that there were also many animals and “pre-Adamites” preserved in the ice…. They were all flattened/ crushed or knocked over by the event that flash froze the area. They have tons of trees/ plants and wildlife frozen in place, like they were put on pause. This is startling confirmation of the research conducted by Sir Charles Hapgood who has previously studied evidence of pole shifts that have led to the Earth’s axis of rotation shifting dramatically in a short period, where sub-tropical areas might suddenly find themselves at the poles. Hapgood’s thesis that the last pole shift had happened at the end of the last ice age about 11,000 BC had apparently been startlingly confirmed by the discovery of a flash frozen Antarctica civilization. 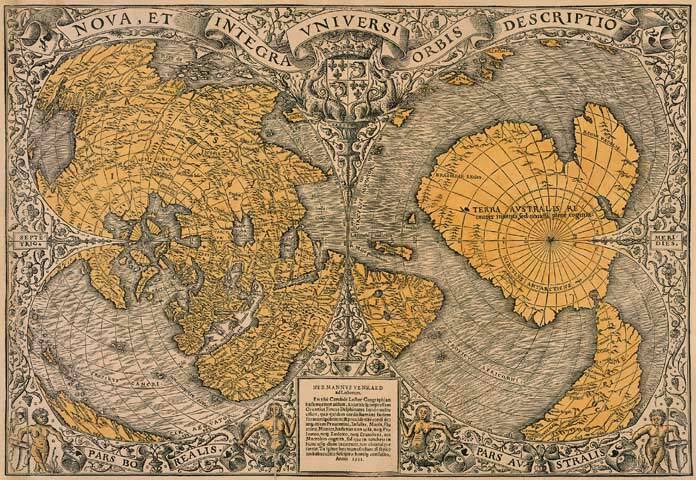 Furthermore, this also confirms that the Oronteus Fineus map, which shows an ice-free Antarctica, is based on ancient historical records where Antarctica once possessed a thriving civilization before a devastating Pole Shift event. The first discoveries occurred some time back, not sure. They had an idea of what was below the ice after doing very high-tech scans from space. They had been excavating one site and discovered many, many others spread out across what used to be dry ground. This happened over time. They have been studying what they are finding, and moving some of it out before bringing in various bigwigs from various secret societies. Then they do tours like the “Cabal Disneyland” they have in the stasis chamber in Ohio. They are continuing to excavate, but know what is around in the areas where they have cleared away the ice. They are worried that all of the steam excavation could cause the surface of the ice shelf to collapse down on the sites they have uncovered. I think they would have to go public in some sort of a way to go bigger on this excavation and widen it. 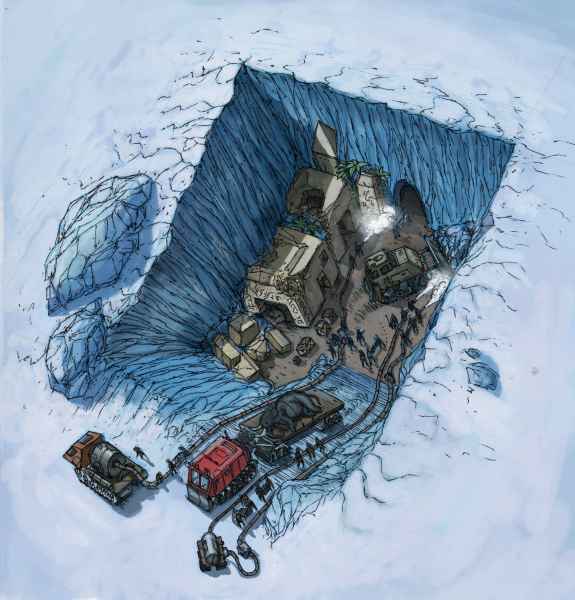 Goode provided the following artistic sketch of the Antarctica discovery. The finds in Antarctica are a major reason the World Political/Religious leaders have been brought down there to tour what has been found in the last year. He described the “pre-Adamites” as beings with elongated skulls, with strangely proportioned bodies that were obviously not designed for Earth’s gravity and atmosphere pressure. This group had apparently arrived here from another planet in our solar system that was no longer hospitable. They arrived here approximately 55,000 to 65,000 years ago and began to create hybrids of their species and the developing human population. 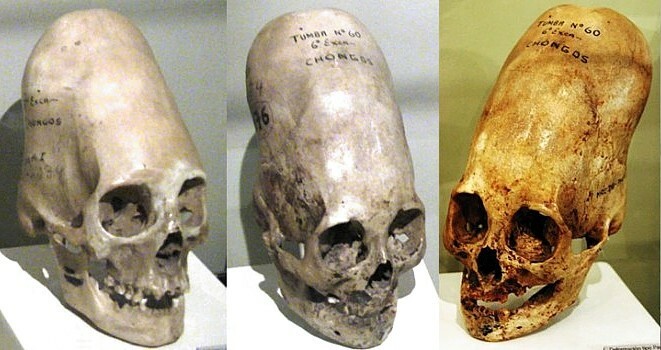 Once again, this is a startling archeological discovery that confirms the elongated skulls found in places like Paracas, Peru, belonged to another species of humans, rather than being artificially created deformities. What is critical to understand according to Goode is that many of the Cabal view themselves as direct descendants of these pre-Adamite peoples, and consequently view the Antarctica discovery as an event that corroborates their uniqueness, and fitness to rule. Apparently, many pre-Adamites occupy very senior positions in the Vatican hierarchy where their identities are hidden by the elongated hats worn by Bishops and Cardinals. I have now had well over a dozen confirmations that indeed a HUGE F-ING discovery was made down in Antarctica. Indeed there are many, many types of ruins and artifacts strewn out across the continent/ group of islands and underground. … Many square miles of ruins have been detected w/only a small % that has actually been excavated. D: “Will” as in they intend to make this part of the partial disclosure fairly early along? C: I presume so, as they are not keeping a very tight lid on these discoveries very well and it’s during a time of an agreed-upon agenda for partial disclosure. While the Antarctica discovery raises the possibility that a pole shift may occur again with devastating global consequences, Goode has instead emphasized the sun ejecting its coronal shell as the more likely scenario for an “Ascension event”. Apparently, predictions for the sun going dark for a number of days led to an exodus of the Cabal to hidden locations in Antarctica/South America in early 2016. Regardless of questions of whether an Ascension event occurs, how it is triggered and how to best prepare, an official announcement of the Antarctica discovery is likely to be the first in a series of official disclosures that will rock establishment media and universities. 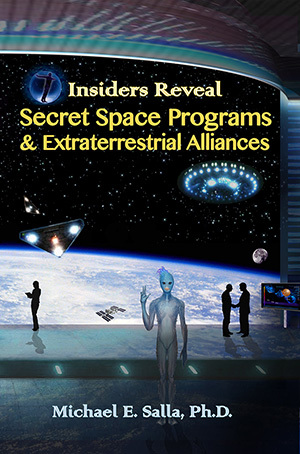 While such an announcement may be intended to be part of a limited disclosure narrative, the more likely result is that it will open the door to full disclosure of ancient civilizations, both past and current such as the alleged “Anshar”, as well as the truth emerging about secret space programs and extraterrestrial life.